Australian gas prices for both commercial manufacturing and domestic households have been increasing steadily, with a 36% increase in gas prices over the last five years. Gas prices are now are tipped to skyrocket further from now until 2018, with regulatory changes meaning the Australian gas industry is ramping up gas production to export to Asian markets where prices are considerably higher. It is forecast that the effect of this structural change in Australia’s gas market is likely push up the average household bill by more than $300 a year in key 'heating' markets such as Melbourne. It is expected that this substantial rise in gas prices over such a short space of time will push Australian consumers to replace their ageing gas heaters, with energy efficiency ratings being the main factor affecting their purchasing decision. This represents an opportunity for engineers and designers of gas-fired appliances at smart manufacturers to gain an edge in the competitive Australian market. At LEAP, we have seen the use of Computational Fluid Dynamics (CFD) gaining popularity as a R&D tool to improve the overall operation and performance of gas heaters, from conceptual designs through to detailed production designs (incorporating assessment of energy efficiency as well as important maintenance issues such as fatigue performance). Smart manufacturers are also realizing significant time and cost savings by using CFD upfront to reduce the number of (sub-optimal) physical prototypes they produce prior to consolidating their design. 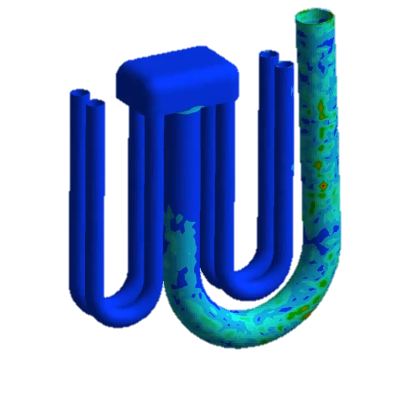 ANSYS CFD is at the forefront of research and development in this field, with accurate models continuously implemented to simulate the complex flow interactions and reactions in gas-fired combustion, with additional ability to track pollutants and dispersion of flue gases to conform to stricter environmental regulations. 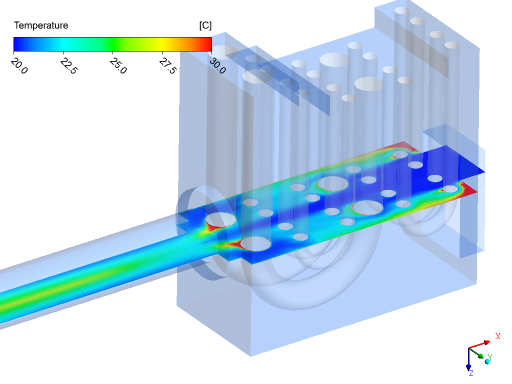 Engineers now utilize ANSYS CFD technology upfront during their conceptual design phase, combined with parametric CAD models and powerful in-built design optimization algorithms, to drive tangible improvements in key performance metrics such as heat exchange efficiency. ANSYS CFD is also commonly coupled with the ANSYS structural solver to investigate thermally-induced stresses and cyclic loading over the products lifetime. These quantities are critical to assessing the fatigue life performance of the gas furnace components, ultimately reducing the ongoing risk in providing a significant warranty period for your product. - assessment of flow uniformity within the heat exchanger. 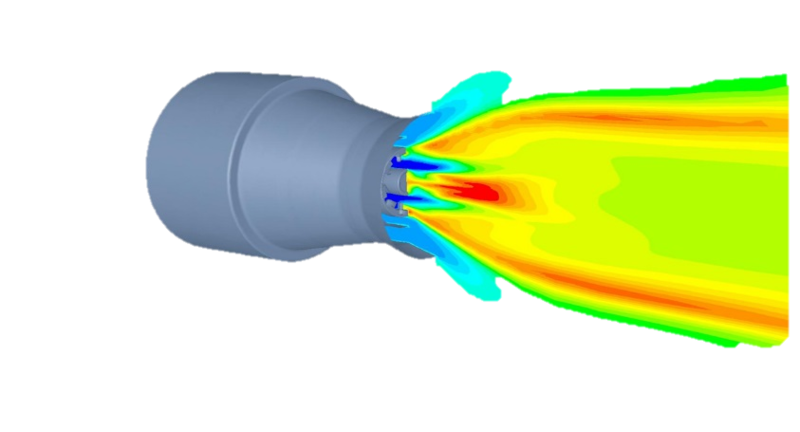 If you'd like to learn more about combustion modelling with CFD, LEAP invites you to join us for a webinar on Oct 30th to learn from Pravin Nakod and Prof. David Fletcher about how ANSYS CFD simulation tools are being applied worldwide to solve the varied design challenges posed by combustion systems. Please click here to register for this webinar. Following the webinar, LEAP will also be hosting a series of best-practice seminars/training sessions (at no cost) to provide engineers with more detailed information on key aspects of the combustion modelling process and provide further guidance on appropriate CFD model choices. These seminars will run from Nov 17-21 in Brisbane, Sydney, Melbourne, Adelaide and Perth. Please click here to register your interest in attending these seminars and LEAP will be in touch once the venues are confirmed.